Today was my last day of hard driving traveling from Midland, TX to Tucson, AZ covering 600 miles. It felt good to have a day less than 800 miles. I was up at 3:00 am and on the road and with gaining a second hour crossing the mountain time zone I was able to get int Tucson mid-day. I did it in 4 days as I wanted and got here without any winter weather. My plan worked so I could drive on I20 saving me from having to drive down to I10 and the across adding an extra day. 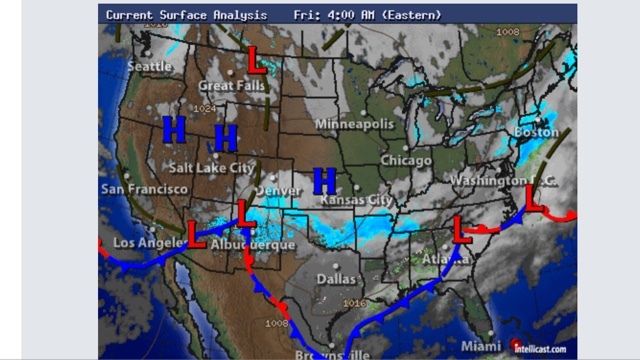 Here are the clouds north of me in New Mexico with the snow. 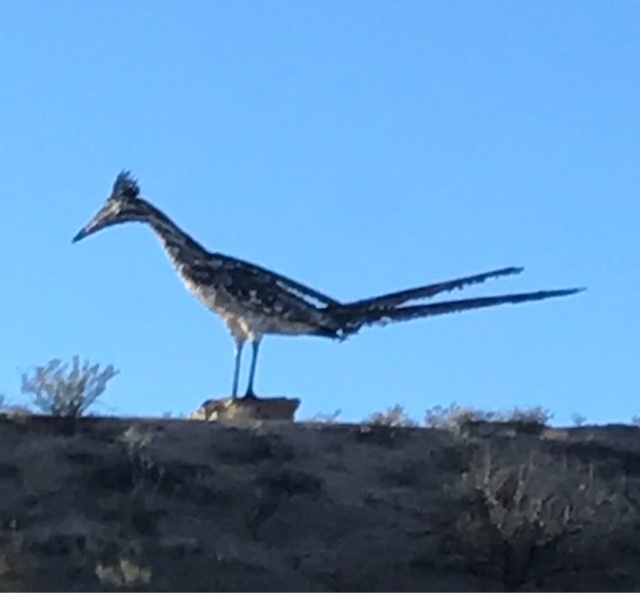 I snapped this photo of this roadrunner art on the side of the highway in New Mexico. 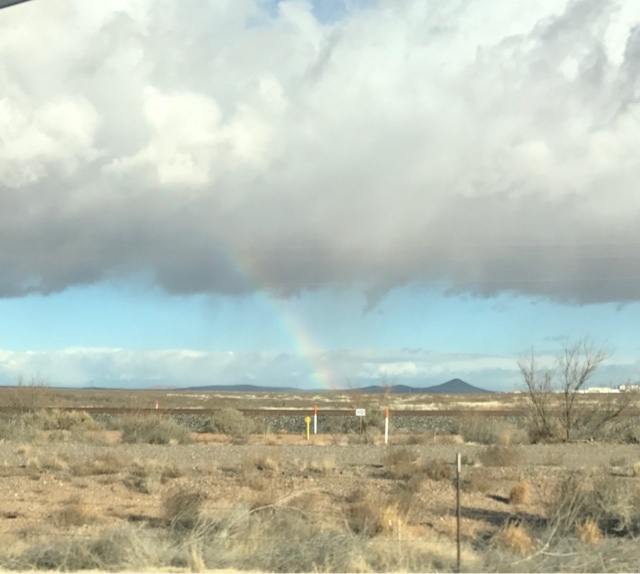 The disturbance north of me kicked up a few showers giving me a mini rainbow. Above I caught this homemade camper designed in a Gypsy style just before arriving in Tucson. 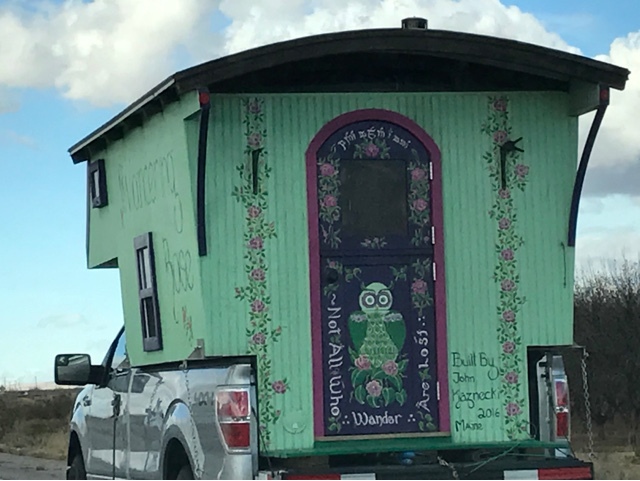 I enjoy the craftsmanship that people put into these and I would love to see the inside. There were all kinds of RV's on the highway heading west. 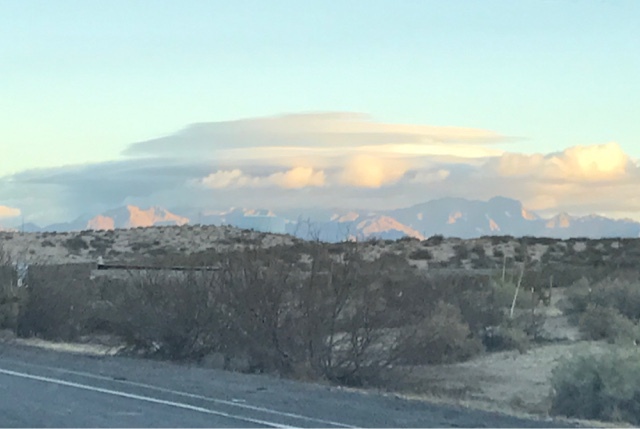 Many I suspect are headed to Quartzsite for the 100,000+ people gathering. The RTR is just a couple hundred there with all kinds of other groups there too to make up the total. This afternoon I planned on going to one of the Toyota dealers to have my oil changed and tires rotated. I just drove to the dealer and I was still in the system from last year and I even recognized to woman who waited on me last year. 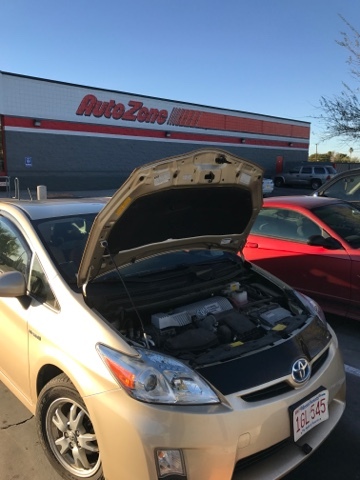 As you can see I'm at Auto Zone replacing the front drivers side parking light that I noticed was out on the way out. I'll spend a couple of days here and stock up as well as get some exercise in.